Do you know the difference between check and control ? 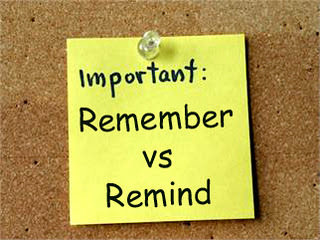 Between remember and remind ? Or between raise and rise ? These three pairs of verbs are often confused. To understand the differences, you are going to watch three short videos from the Simple English Videos site You will then do an exercise to check your understanding. Video time: 3 x 1 minute. Activity time: 10 to 25 minutes. Task: 1 Watch the three videos without looking at the videoscript. Watch again and use the script (under the video window) if necessary. 2 Now complete these sentences with one of the six verbs. NB You have to use each verb twice. 1 Competition is very hard, so we can't really _______ our prices. 2 Can you ______ my English in this email before I send it? 3 This car is difficult to _______ because it's so big and heavy. 4 I can't ________ what time they told us to come. Was it 8 or 8.30? 5 When the temperature ______s above 80° C, the warning light comes on. 6 She _______s me of somebody, but I can't think who. 7 Did you ________ to post that letter for me? 8 I'll just _______ there are enough chairs in the room for the meeting. 9 The government hopes the reforms will ________ educational standards in primary schools. 10 _______ me to close the window upstairs before we leave this morning. 11 You're always angry. Try and ________ your emotions a little better. 12 Our tax bill has ______n by 1,500 euros this year. For check and control, go to the video here. For remember and remind, the video is here. For raise and rise, go here. Check your answers to Exercise 2 here.